John O'Shaughnessy founded Matrix Surgical USA, a wholly owned subsidiary of Matrix Surgical Holdings, LLC, in 2012 and serves as its Chief Executive Officer. Before founding Matrix Surgical USA, Mr. O'Shaughnessy held numerous senior level management positions with Stryker (NYSE: SYK) and Porex Surgical, Inc (division of WebMD NASDAQ: WBMD) with general management (P&L), sales, marketing and business development responsibilities. While with Porex Surgical, Inc., he created, staffed and led two foreign subsidiaries in Munich, Germany and Shanghai, China which drove the firm's international revenue growth over 700% in a 12-year period. In 2001, Porex Surgical, Inc. received the President's E-Award from President George W. Bush in recognition of its outstanding export revenue growth from 1998 to 2001. Mr. O'Shaughnessy is a published author, a frequent contributor to the business press, and highly sought-after speaker/panelist on matters of globalization, entrepreneurship, startups and the global medical technology market. He holds a Bachelor of Arts in Economics from the State University of New York at Potsdam and a Masters Degree in Business Administration from the J. Mack Robinson College of Business at Georgia State University. In 2006 he was the recipient of the Global Business Alumni Award from the J. Mack Robinson College of Business. 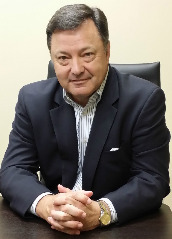 Jim Perez is a Principal, Executive Vice President and member of the senior leadership team for Matrix Surgical USA. He has 26 years in the medical device business and has held senior sales leadership positions in three organizations during the past 19 years. Mr. Perez was formerly with Porex Surgical Inc. as Director of U.S. Sales, where he built and coached a successful sales team that sold high density porous polyethylene implants to craniofacial surgeons throughout the United States. He most recently served as Director of North American sales with FCI Ophthalmics, a manufacturer and marketer of ophthalmic devices and instruments. 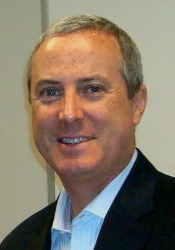 Mr. Perez began his medical device career with Becton Dickinson and Company, and was promoted from sales representative into increasing levels of responsibility in sales and distribution management. Mr. Perez received a B.A. in Business and Economics from St. Anselm College.